With summer holidays coming, it’s time to get your holiday wardrobe beach fashion ready. 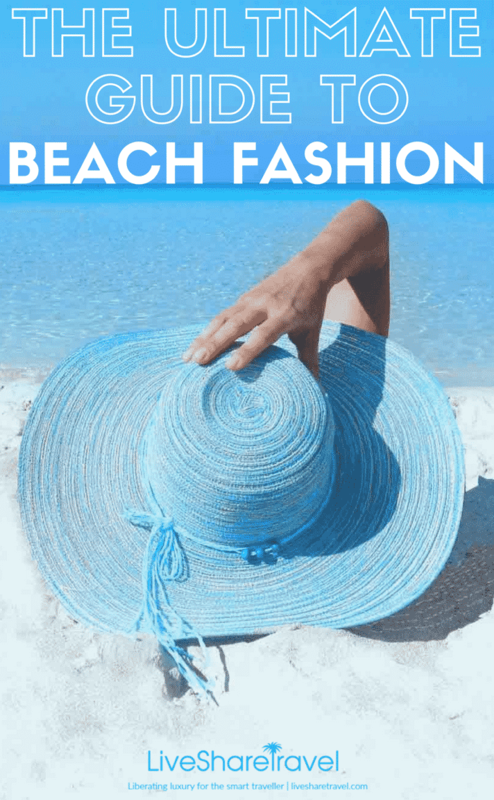 Despite the multiple offerings out there on the high street and beyond, it can sometimes be a little overwhelming buying fashionable and everyday clothes for the right beach style. And if you like to pack light for practical reasons then you may be trying to edit your clothes down even further into a capsule wardrobe. But finding the perfect beach fashion pieces doesn’t have to be a faff, with these simple and timeless pieces for everyone’s wardrobe. A sarong is a must have for most holidaymakers. It’s also the last thing most of us wear outside of holiday, which makes it wholeheartedly underrated. But make sure its the first thing you pack in your suitcase, because the sarong is a beach fashion hero. Acting as a cover-up taking you from beach to restaurant, a dress — which can be twisted and turned into a few different styles — and even a towel, it truly is the multi-tasker of beach fashion. 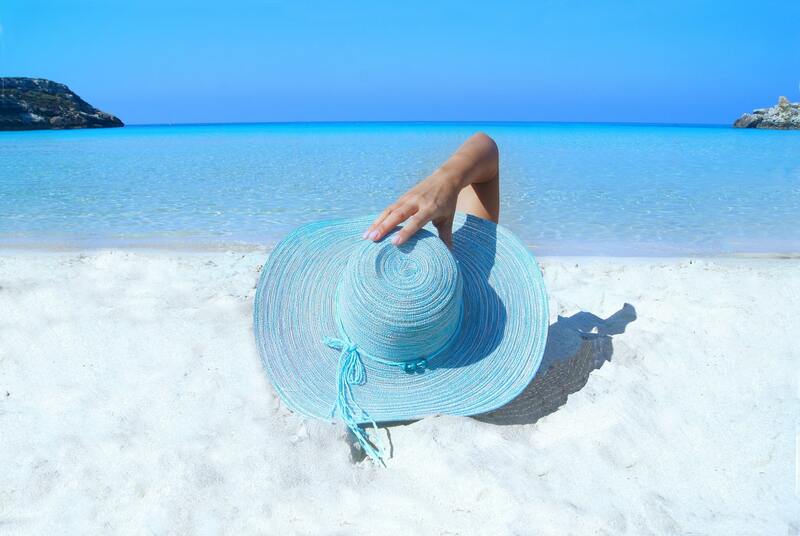 A surprising use is as a beach towel which, although not as comfy or absorbent as a traditional cotton towel, will save you a stack of space in your suitcase. Regardless of how much you plan to dress up or down on holiday, there should always be space for a nice throw-it-on dress. Something in a jersey, or cotton is always practical (linen creases and polyester will make you sweat) and in a neutral colour or, at least, matching your chosen colour palette. If this all sounds too much, then throw in a kaftan in a pretty print. It’s easy to dress up with some jewellery and a pair of nice sandals, and you can chuck it over your bikini for the day. There isn’t much that is more flattering than a pair of comfy, loose trousers. Ideally in a nice breathable fabric, the most becoming silhouette will be something either tapered to the ankle, or wide fitting and worn with a little heel. Easy to dress up, they’ll also be your new best friend on the plane. And they are easily dressed up or down depending on what you pair them with. For ‘fly and flop’ types, they are perfect for the evenings when the mosquitoes are in full force and hell bent on nibbling at your ankles. And for those pounding the pavements to catch all the sights they are practical and far more comfortable than wearing a dress. The quintessential beach shoe, the flip-flop is sorely underrated. The best pair won’t leave you wincing with pain, and will cushion the inevitable pounding of the street when you go sightseeing. Taking you from beach to street, the flip-flop is something worth splashing out on. Don’t make the mistake of buying cheap, as you will be buying twice. Try the fantastically made brand Rainbow, which offer comfy and stylish sandals for men and women. 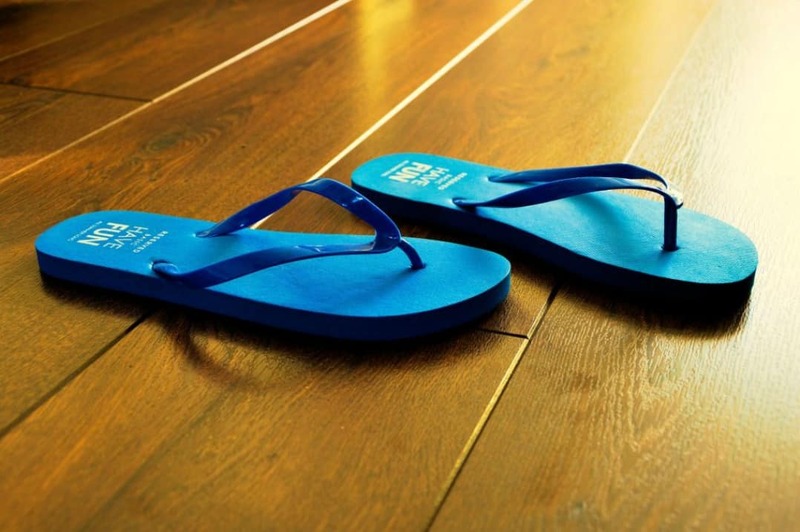 Flips-flops are a necessity, but there’s nothing worse than heading out to a nice restaurant and realising that you should have brought a slightly smarter pair of shoes. 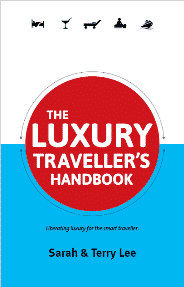 And if you’re planning to fly to your destination, it’s worth noting that wearing something scruffy in premium economy seats upwards isn’t the best etiquette and, in some instances, could even stop you from getting an upgrade. But comfort doesn’t have to be sacrificed. Simply take a pair of comfy and chic ballet pumps, or some pretty espadrilles. Men can take a nice pair of loafers. Depending on your metal of choice, a chunky necklace in gold, silver or even pearls is an easy way to dress up a daytime outfit. If you’re a bangle or earring wearer, then take a few key pieces because, realistically, there are rarely enough days in an average vacation to wear your entire jewellery caboodle. A casual anklet is a subtle nod to the summer, and one of the easiest ways to jazz up any outfit is with an armful of gold bangles. Pick wisely, but don’t play it safe — holiday is for enjoying yourself after all. It doesn’t necessarily have to be red, but there isn’t much that lifts a outfit and picks you up more than a bright, bold lip. 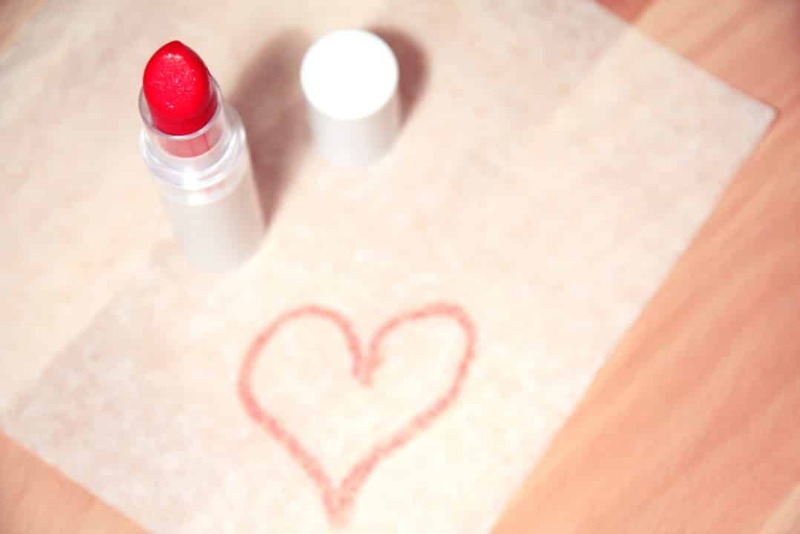 If you normally wear chapstick and nothing else, skip the matte lipsticks and try a sheer wash of coral, or pink instead. But nothing works better with bronzed skin than a powerful pink, or punchy red. Don’t be frightened of a bold lip either, it’s a multi-tasking item that you won’t believe you ever left out of your makeup bag. If you want a sheer wash for the daytime, just mix it with a little lip balm and dab it on the apples of your cheek for a quick fix of blusher.